Jason Barrows is a name you may not have heard of before, but he’s just released an incredibly beautiful album named Islands of My Soul. The record is full of dreamy pop with throwbacks to sounds of yesteryear. I got to speak with Jason a few weeks back, and got a great insight into how the album came together, some stories behind the tracks, and that MacGyver may have been an influence on the record. SAM: Jason, where in the world do I find you today? JASON: Today I am in Midwest America, Indiana to be specific. It’s getting cold and about to get a whole lot colder. You’ve just released Islands of my Soul. How long was this album in the making? I’d say overall it took a little over a year to complete the record. The bulk of it was recorded in just a few short weeks by me and my best friend Jon in our bedrooms here. The recording process was pretty relaxed and enjoyable since we were doing it at home, it mirrored what my natural writing/arranging habitat is. So you recorded it in bedrooms? We did the better amount of recording in bedrooms here, however we did do some tracking at the Varsity Recording Company, which is the studio here in Indiana used by a lot of indie bands. There we tracked most of City of Lost Children and Hearts on Fire including the women’s choir. But we did almost all of the keyboards, some analog, and some digital at a very relaxed pace at our houses. Did you work with a band, or is it primarily you playing a bunch of instruments? Was it a fun process to create? The recording process was absolutely a dream come true for this record. I’ve worked in larger studios and smaller studios on over a dozen other records but I haven’t always found that to be the most cohesive with my natural creative flow. We spent a lot of great time together cooking meals, taking long walks at night, and watching reruns of MacGyver. I was fortunate enough to have some really cool collaborations on this record from a host of really cool musicians from all over the Midwest. City of Lost Children has such an old-school, maybe 80s vibe to it. What can you tell me about how this track came together, and the message behind it? City of Lost Children is kind of like the miracle track on this record. It was the last song that I wrote after almost everything else had been recorded already. As far as the meaning to the song lyrically goes, I think over the last decade of coming into the faith I spent a lot of time around a lot of different people groups with a lot of different ideas and opinions. After years of being told what I should believe about the Lord or what my faith should look like it just seemed to wear me down a bit. And so the song was born really almost like a plea to God to reach beyond all of the voices that one hears around them and to reach for His one true voice that tells us who we really are and what we’re here in this world for. As far as the 80s vibe, I have always been a huge fan of clean guitar records and iconic sounding jams like Don Henley’s Boys of Summer or anything by The Cure. I just wanted to really make the guitars bleed you know? Golden Light is another beautiful song. What can you tell me about that track? On License to Kill, you sing about the cross. What do you love reflecting on about the cross of Christ? I’m pretty enamored with the cross. The truth that death and hopelessness are as dead to us as a gunned down man is pretty astounding. The fact that I no longer have to look to myself for righteousness, just wholly lean upon Him, is a gift I will mine forever. Up from the Sea is quite a shift in sound – it’s quite loud and fast! What’s the story behind it? To be honest, one of the ways I really got into music was from skateboard and surf videos when I was young. I can be plain and simple: I really just like to rock and I wrote that for a basement full of my friends to sing super loud! You close the album with Hearts on Fire which is a stunning track. How did you create such a dreamy sound on that track – with those guitars and backing vocals? That was definitely one of those songs that came alive when we started dreaming in the studio. I invited a small choir – about seven people I think – of my favorite female singers because I’ve always loved classical choral music, to me it’s so creepy and mesmerizing. As far as the guitar tones, they were definitely not premeditated on the song. I just happened to come across a couple of really cool vintage 1980s effects pedals at a pawn shop here in town, but the other half of the song has some really cool guitar parts from one of my best friends Mike Barrow who lives in Ohio, him and another really great engineer Kyle Byrd just sent some parts over and they were really kind of perfect. If I can be transparent this song has been around for quite a while and I’ve gone through quite a bit of interest back to searching on how I was going to get it to sound the way this song makes me feel, and I think because we just tried it in the studio and really took our time to chase after certain sonic elements that created a feeling inside of us that we ended up getting more than we could’ve hoped for. Lyrically the song uses imagery and language that I used a long time ago well before I came into the faith. I wrote it one summer late afternoon when I was in the car on my way to a friends house to lead worship for living room church, I was dead tired and completely at the end of my rope emotionally. I just began to reach out to the Lord and envision myself on a beach and just began to sing those words to him, so I sang it that night and realized that those simple words and that offering of weakness was meant to reach others who are maybe in that same place. I’d love to know what artists you’ve been into this year. Have there been any standout albums from 2014 for you? Oh man, I am so bad at keeping track of what albums have been released. I can say for sure that the latest Damien Jurado record had a really big impact on me. I mean we made the record about a year ago so I know I was listening to a lot of Beachhouse, Twin Shadow, and Delta Spirit. And Ryan Adams for sure. Always Ryan Adams. You’ve released this album for free on Noisetrade. Why have you chosen to give your music away for free? I love Noisetrade, they offer such a great platform to artists like me. While I think it’s really awesome that there are tonnes of bands out there who are successfully crowdsourcing finances for their records, I personally wanted to give my best to listeners without any barriers in between. Do I think that art is worth something? Absolutely. But I also think that often generosity is returned to you in ways that you couldn’t have even imagined, so I have hopes for that. Is there a big idea or key message to Islands of My Soul? Well, I wouldn’t say there’s necessarily one overarching theme. I can say that the title of the record came from the idea that every single one of the songs came from a sort of story or moment in time, sort of like their own little island. And I think that most people can relate that throughout your life you have countless moments like these where you touch something or become aware more of the great beyond. Over time I’ve really come to believe that those unique and individual moments really mean something to the Lord, I mean they’re from him. And so the title seemed fitting that these are of the islands of “my” soul. What’s next for you? A tour, or perhaps another new album in the near future? As far as what’s next I’m super privileged to be going out on tour this year with Josh Garrels quite a bit. Josh is a close friend of mine and sort of a mentor musically and spiritually. We have several shows over the coming months on the West Coast, some of which I will be opening and all of which I will be acting as a multi-instrumentalist for him playing synthesizers, electric guitar and backing vocals. Also I have some Midwest shows in the upcoming weeks and will be starting to book the spring and summer tour when I can find the time. I’ll definitely make another album too. I would’ve made a full length out of this record if I would’ve had the time and resources but I’ve got tons of new ideas/songs I’m super pumped about. 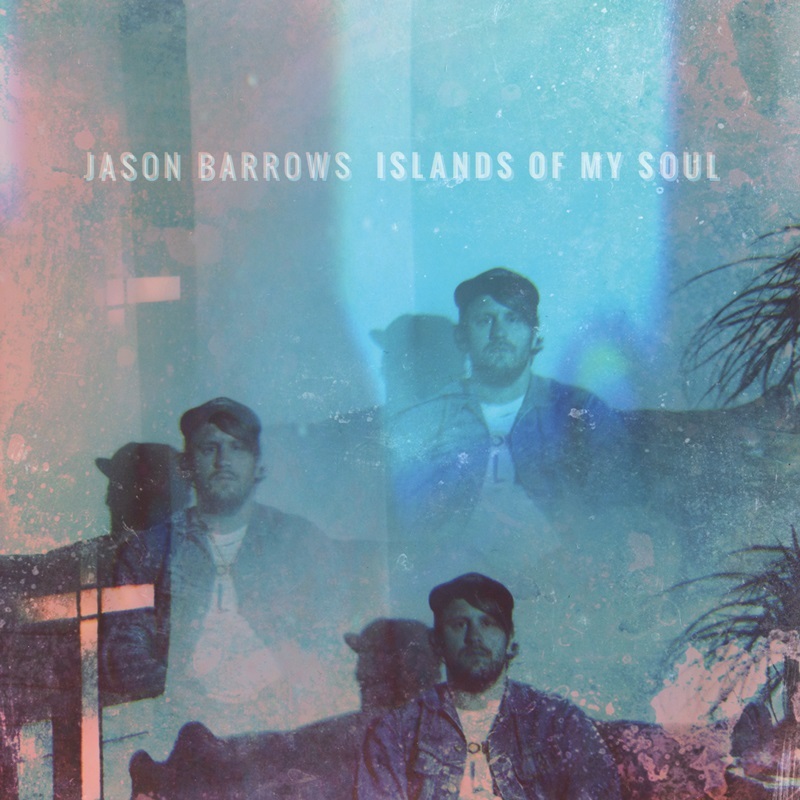 Islands of my Soul by Jason Barrows is available now for free on Noisetrade. You can also support Jason by purchasing it on iTunes. Posted in MusicTagged christian, Interview, Islands of My Soul, Jason Barrows, Josh GarrelsBookmark the permalink. Thanks for that interview! Jason Barrows’ album is great and this was a nice glimpse into his creative process.